Previously I wrote an article on how to select a SAN based on your requirement. Let’s learn what Gartner’s verdict on Storage. Gartner scores storage arrays in mid-range and enterprise class storage. Here are details of Gartner score. Mid-range storage arrays are scored on manageability, Reliability and Availability (RAS), performance, snapshot and replication, scalability, the ecosystem, multi-tenancy and security, and storage efficiency. Enterprise class storage is scored on performance, reliability, scalability, serviceability, manageability, RAS, snapshot and replication, ecosystem, multi-tenancy, security, and storage efficiency. Vendor reputation are more important in this criteria. Product types are clustered, scale-out, scale-up, high-end (monolithic) arrays and federated architectures. EMC, Hitachi, HP, Huawei, Fujitsu, DDN, and Oracle arrays can all cluster across more than 2 controllers. These vendors are providing functionality, performance, RAS and scalability to be considered in this class. Where does Dell Compellent Stand? There are known disadvantages in Dell Compellent storage array, users with more than two nodes must carefully plan firmware upgrades during a time of low I/O activity or during periods of planned downtime. Even though Dell Compellent advertised as flash cached, Read SSD and Write SSD with storage tiering, snapshot. In realty Dell Compellent does its own thing in background which most customer isn’t aware of. Dell Compellent run RAID scrub every day whether you like it or not which generate huge IOPS in all tiered arrays which are both SSD and SATA disks. You will experience poor IO performance during RAID scrub. When Write SSD is full Compellent controller automatically trigger an on demand storage tiering during business hour and forcing data to be written permanently in tier 3 disks which will literally kill virtualization, VDI and file systems. Storage tiering and RAID scrub will send storage latency off the roof. If you are big virtualization and VDI shop than you are left with no option but to experience this poor performance and let RAID scrub and tiering finish at snail pace. If you have terabytes of data to be backed up every night you will experience extended backup window, un-achievable RPO and RTO regardless of change block tracking (CBT) enabled in backup products. If you are one of Compellent customer wondering why Garner didn’t include Dell Compellent in Enterprise class. Now you know why Dell Compellent is excluded in enterprise class matrix as Dell Compellent doesn’t fit into the functionality and capability requirement to be considered as enterprise class. There is another factor that may worry existing Dell EqualLogic customer as there is no direct migration path and upgrade path have been communicated with on premises storage customers once OEM relationship between Dell and EMC ends. Dell pro-support and partner channel confirms that Dell will no longer sell SAS drive which means IO intense array will lose storage performance. These situations put users of co-branded Dell:EMC CX systems in the difficult position of having to choose between changing changing storage system technologies or changing storage vendor all together. Fabric OS 5.1.x to 5.3.1a is supported, but upgrading from Fabric OS 5.0.x or a previous release directly to 5.3.1a is not. Fabric OS 6.0.0b is only allowed from Fabric OS 5.3.x. Fabric OS 6.2.2f is allowed only from Fabric OS 6.1.0a or later. Fabric OS 6.4.3f is allowed only from Fabric OS 6.3.x. Fabric OS 7.0.2 can be done non-disruptively from Fabric OS 6.4.1a or later. Fabric OS 7.1.2 can be non-disruptively upgraded from 7.0.x and 7.1.x. Fabric OS 7.2.1 can be done non-disruptively from 7.1.x. Disruptively from 7.0.x is supported. Note: Disruptively means ports will go offline during the upgrade. 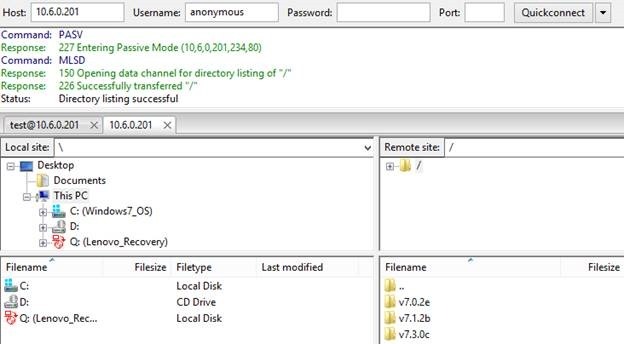 Turn off firewall on Windows machine where you will install FTP server. 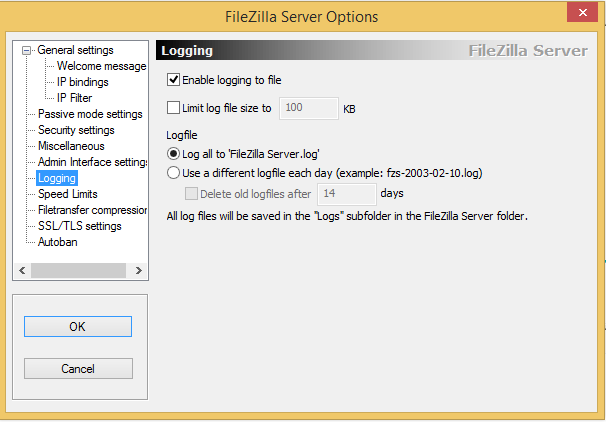 Download Filezilla FTP server for windows. 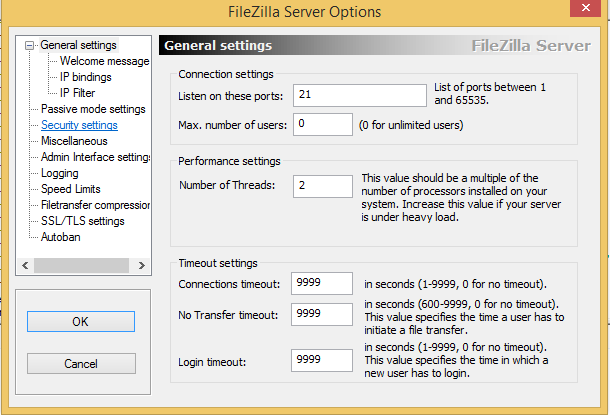 Install Filezilla FTP server. Installation is pretty simple. just run the installer GUI and accept the default. 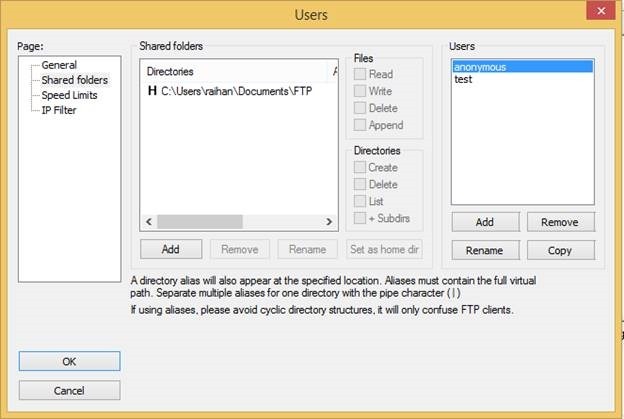 You may find there are third party software embedded with Filezilla, decline first two and then click next to install FTP server. Once installed. Click Edit, Click Settings. Select following. Setup timed out value to 9999. Enable logging. so that you can see brocade is connecting to FTP server. 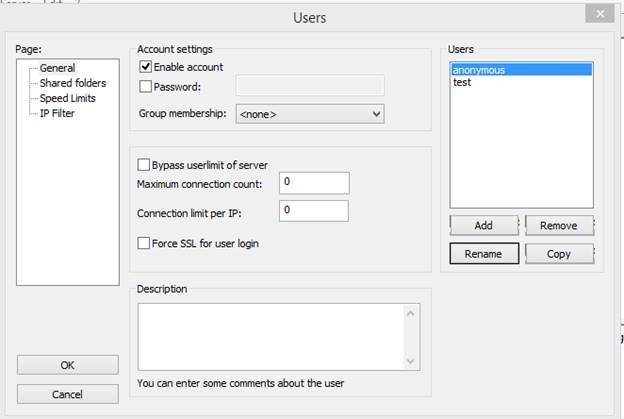 Create an anonymous user account and set password to none. Actual location of firmware in my PC. Now open Putty, Type IP address of brocade switch. leave the default port 22. Close putty session now. This procedure will reboot the Brocade switch. You are done. Once Brocade Fabric is rebooted, reconnect using putty, log on and type firmwareshow to see the current version of firmware. If you would like to upgrade from v7.1.2b to v7.3.0c directly. use the following command. This is a disruptive upgrade procedure. Firmware is being downloaded to the switch. This step may take up to 30 minutes. In fact this will take approximately 45 minutes to complete. have cup of coffee and relax.